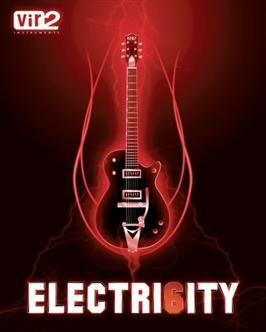 Electri6ity contains eight of the most famous guitars and illustrious history of the instrument. More than 24,000 24-bit samples were taken from each guitar. Three mic options (front, rear, and mixed) are available in each guitar. An impressive number of samples allow you to play each joint in each fret of each string of the guitar sound totally authentic. Strums up and down, without layers of speed, ghost notes, mutes, harmonics, hammer-ons, pulloffs, slides, notes, and FX ... the sky is the limit with Electri6ity. Electri6ity also uses more advanced script to date, including the revolutionary Articulation Morphing Technology (AMT) and Velocity Morphing Technology (VMT), which allows the processing fluid to sustain or mute soft to hard. Chain pitch and advanced placement is done by artificial intelligence that adapts to your playing. Listen to the lines in real time using the engine legato, play chords using the chord detection engine which comprises nearly two thousand different chords, strums, unison bends, touch, pick, trills, tremolo picking, slides ... All this is based on the motor and control Electri6ity edition gives full on each of these parameters.